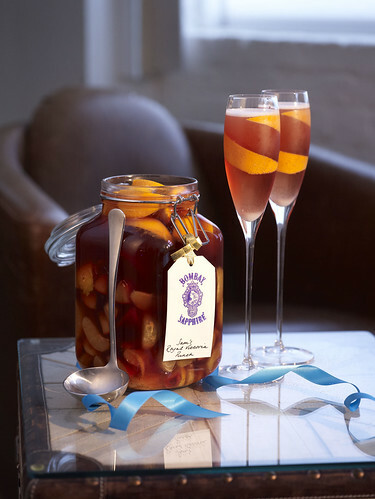 Prepared in a Kilner jar, this deliciously fruity punch from Sam Carter at Bombay Sapphire makes the perfect Christmas present for your cocktail loving family and friends. 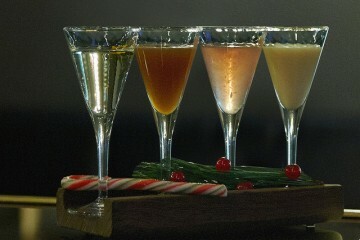 Mix it up a week or so before your festive party and get ready for the accolades. Serves 60-65. 2 litre Kilner jar for storing. Add the freshly chopped seasonal fruit to a Kilner jar. Pour the sugar or honey on top and add 8 orange peels, followed by the freshly ground black pepper. Give the mixture a quick stir with a long wooden spoon. Finally, pour in the bottles of Bombay Sapphire and Martini Rosso Vermouth and Chambord Liqueur. This should bring the liquid line to very top of the jar leaving little to no air gap when the lid is closed. If not, add more fruit or Bombay Sapphire. Seal the jar and give it a quick shake to mix the ingredients. Leave in a pantry or cupboard for 4-5 days but remember to shake the jar at least once a day to agitate the mixture and combine ingredients. Give the mixture a good stir on the fifth day and it’s then ready to drink. Keep the jar refrigerated from this point onwards. To create the final cocktail: pour chilled sparkling wine/Champagne/Prosecco into a chilled Champagne flute to the 3/4 full mark. 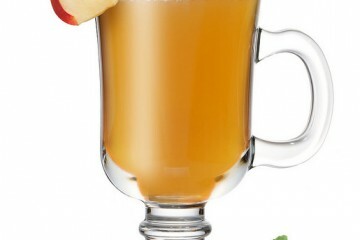 Using a ladle, life out a measure (around 25ml) of the punch from the jar and gently add to the top of the glass. Garnish with a spritzed orange peel which can be used to stir liquids together at leisure.